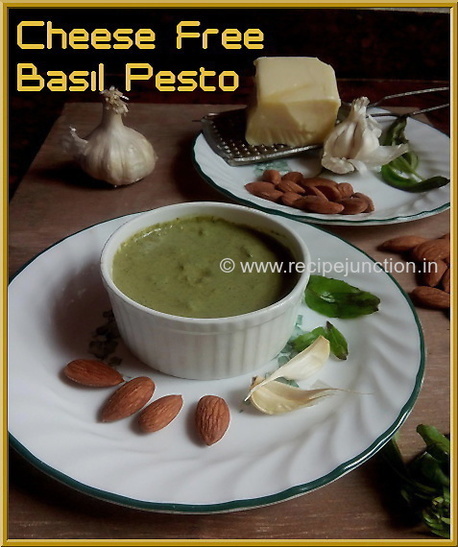 In the last post, I shared the recipe of Basil Pesto with Almonds(with no added cheese). 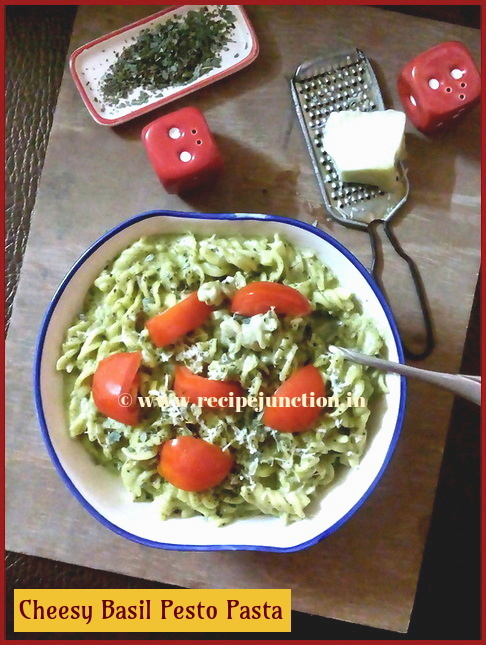 And I promised to share the pasta recipe I made using the basil pesto. 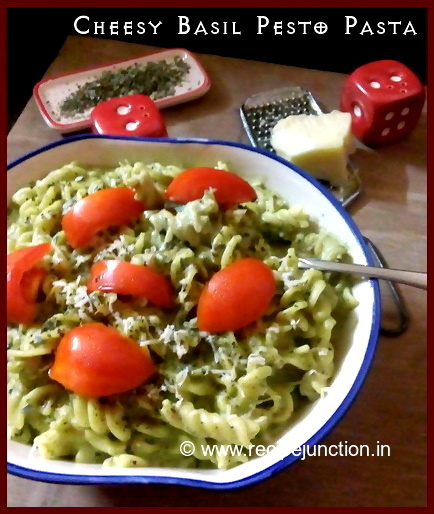 Though at first I thought to prepare some pesto pasta without any cheese, but I had to give in as my daughter was really keen to have something cheesy that day and I thought to prepare some cheesy Pesto pasta. 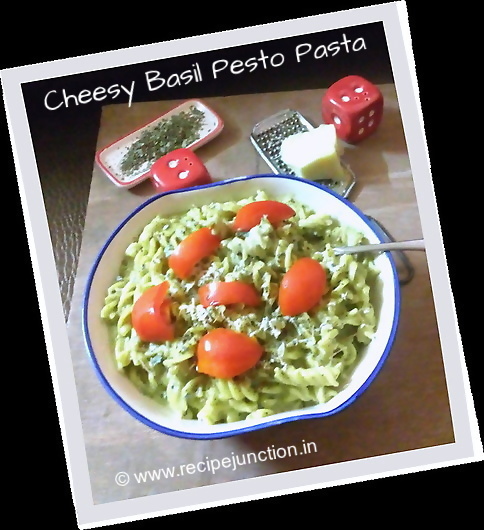 And the outcome was so delicious, I was patting my own back for my decision to make a cheesy pesto pasta. All-purpose flour : 1 tblsp. Oil (Olive/white oil)/butter : 2 tsp. Cook the pasta in a pot full of boiling water with little salt and oil added till al dante. Drain and keep aside. Heat oil or butter in a pan, add chopped garlic. 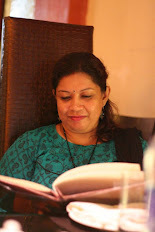 Stir for a minute, then add flour and stir continuously for a minute and don't let the flour burn. Now add milk in there and with a wire whisk stir continuously to avoid lumps to form. Add grated cheese in there and continue stirring in medium heat till cheese melts completely. Add basil pesto in there. Now add cooked pasta and mix well in the cheesy sauce. Add salt and black pepper to taste. Remove from heat when you have desired consistency of sauce. Your cheesy pesto pasta is ready to serve. Enjoy !!!!! Bon Apetit !!!! !